If you have any questions or would like more information on any of the Condo/Lofts that I currently have for sale or any other property that is listed on the Multiple Listing Service(Mls) with another realtor, please feel free to contact me direct at kevinbaker@kwhometeam.ca or call 519-579-4110. I would be happy to help! $284,900 Welcome to Kaufman Lofts. Historic charm with updated finishes. 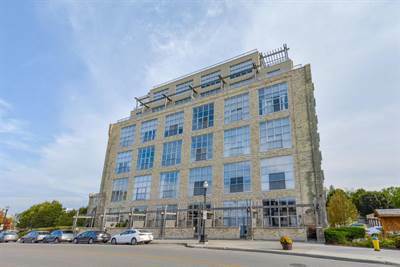 Nestled in the downtown core of Kitchener this loft has tons to offer for the first time buyer or investor. With views up the king street corridor, google and school of pharmacy. Sleek modern cabinets in the kitchen with upgraded granite counters and island for extra work space. Polished concrete floors, large bedroom with walk in closet. Exposed pillars, high ceilings. Centered around restaurants, boutique shopping, Victoria park and all the action of the downtown, this units offers great value for the money. Call today for a private viewing. Mls. $549,999. 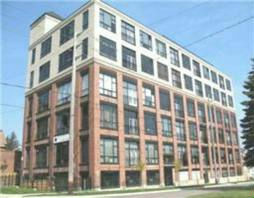 Highly desirable upscale Seagrams Loft in the heart of Uptown Waterloo. This one bedroom plus a den ( possible second bedroom) is sure to impress. Vaulted great room with a two story wall of windows, custom, blinds. Renovated open concept kitchen, pristine white cabinetry, quartz counters, breakfast bar, new backsplash, hardwood flooring. Upper level loft with dramatic views. Master bedroom can easily accommodate a king sized bed. Walk in closet with custom organizers, updated fixtures, LED lighting. Two baths including updated ensuite, separate shower and bath. All appliances included, new washer/dryer 2016. Single car garage. Amenities include guest suites, fully equipped gym, bike storage area, party room and rooftop garden, Patio and bbq area. Two elevator’s in this building. Meticulously maintained complex. Steps from shopping, summers farmer’s market, town square, LRT station, Perimeter Institute, CIGI, LIBRARY, Waterloo Park, Rec Centre. Walk to Dining of all kinds. Close to University of Waterloo and Wilfred Laurier, first stops from this location on the future LRT. Turn key, move in ready shows AAA. Sorry this one is SOLD! $399,500 Welcome to Bauer Lofts, This two bedroom, two bath luxury suite has floor to ceiling windows and bright southwest exposure and 10 foot ceilings. The open concept main living area, has sleek engineered floors, 2 tone upgraded cabinets, granite counters, and upgraded appliances. Two Large bedrooms will easily accommodate a king sized bed. Two full baths with the en suite features stand up shower. In suite laundry with full size washer and dryer. Steps to many of Uptown’s best shops and restaurants including Bauer Kitchen, Vincenzo’s, Starbucks and LCBO. SORRY THIS ONE IS SOLD! This 2 bedroom condo boasts its own private controlled entry door separate from the other units. Totally renovated with stylish modern finishes, carpet free with dark laminate flooring throughout main living area and bedrooms and ceramics in kitchen and bath. Kitchen with pristine white cabinetry, modern pulls and subway tiled backsplash and easy care self-cleaning stove. Two bedrooms, one would make a perfect office or den. The bathroom features a deep soaker tub, dramatic dark tile surrounding the shower area. Other features include, brand new water heater, all window covering and window air conditioning unit. Affordable heat and hydro costs averaging $69.19 per month for the last calendar year. Mls. SORRY THIS ONE IS SOLD! 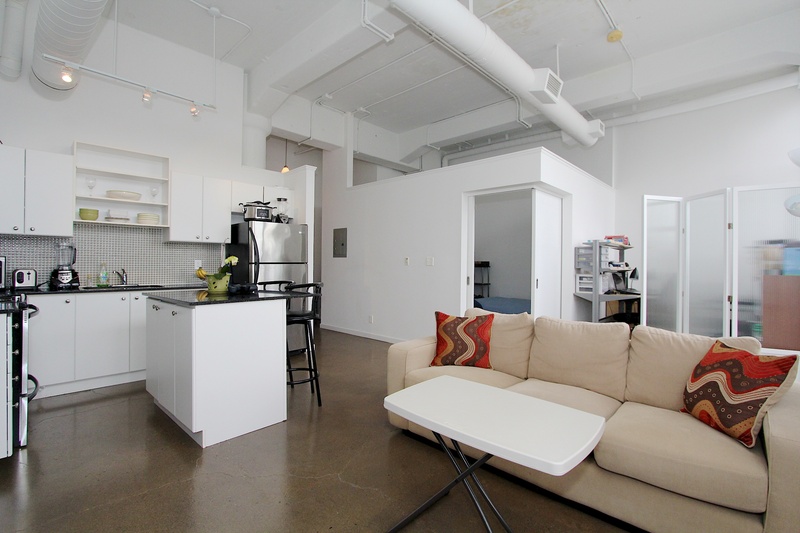 $209,900 Looking for Downtown loft living? This Tribeca model at Kaufman Lofts will impress even the most discriminating buyer. At 646 sqft this space offers 1 bedroom plus den with open concept feel. High ceilings, old building charm coupled with modern decor. Handsome white kitchen is accented with black granite counters, stainless steel appliances. Island offers additional seating for a breakfast bar. Polished concrete floors and huge windows give this unit a true loft feel. The den area comfortably seats 2 desks or reading corner and the Juliette balcony is perfect for those warm summer nights. Insuite laundry, secured entry and the beautiful roof top patio area complete with barbecue and stunning views of the city gives you plenty of space to entertain your friends and family. Mls. Sorry This one is SOLD!